Hi Everyone! 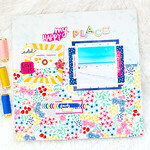 I am so excited to announce the unveiling of our brand new Facebook HIP KIT CLUB MEMBER FORUM. It is a great place to kick of your shoes and get to know other members, share your projects and inspiration. 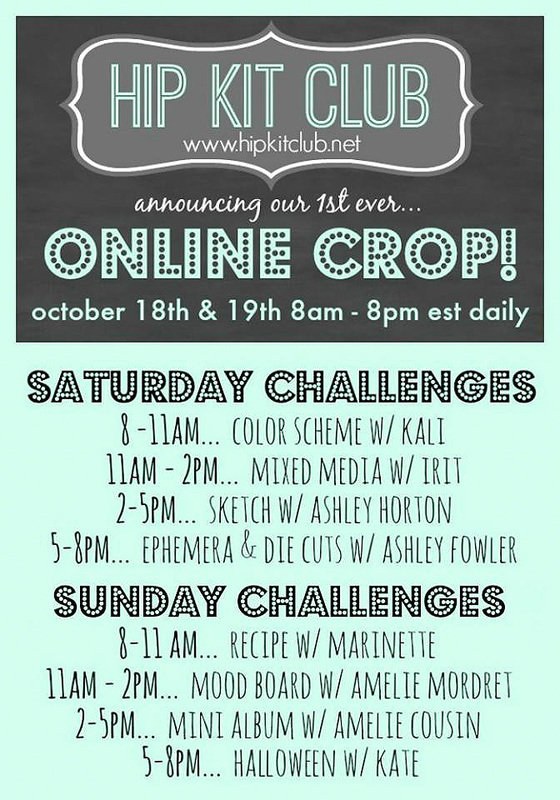 To kick things off we will be hosting our first Hip Kit Club Online Crop on October 18th & 19thfrom 8am – 8pm EST daily. You can join in the fun by simply stopping by our Facebook Hip Kit Club Member Forum during that weekend and jump right into the festivities. There will be challenges, giveaways and our DT members will be there all day long to chat with you, answer questions and share special projects that they have created just for the crop. Pour fêter dignement cela nous vous invitons à une crop en ligne les 18&19 octobre prochains. A la clé : de nombreux challenges et giveaways. Donc notez bien: pour les francaises cette crop aura lieu de 14h à 2h du matin le samedi 18 et le dimanche 19 octobre. Nous serons toutes à votre disposition pour toute question!